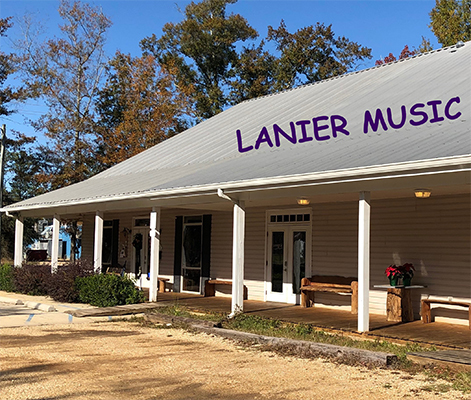 Lanier Music is a locally owned full line music store carrying quality name brand instruments and musical equipment offering sales, rentals, repairs, and lessons. Lanier Music is the largest music store on the Northshore with over 9000 square feet of retail and lesson space. Whether you are a beginner looking for your first instrument or you are looking to upgrade, Randy and Janelle Lanier and their staff can help you find just what you are looking for with a great selection of instruments, musical equipment and accessories to suit your needs. Stop by, kick off your shoes, and visit us at Lanier Music.